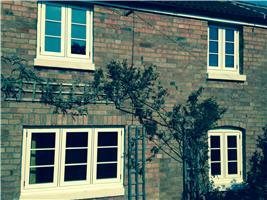 Ecologic Windows - Fascia/Soffits/Guttering, Roofer, Windows/Doors/Conservatories based in Crowle, Worcestershire. Ecologic Windows in Worcestershire is run by Fred Doodey with over 30 years experience in the Window and Door Industry. Our mission is to provide the best possible quality, Energy efficient, Eco friendly Windows, Doors and allied products installed to the highest standard in Worcestershire and the surrounding area. Outstanding products backed up by Industry leading guarantees with excellent customer service.